Yesterday as I was walking around in the sweltering heat I saw a number of interesting modes of transportation. In fact, I liked them so much I feel compelled to share them here. Enjoy! This Crosley hails from Kent Avenue. 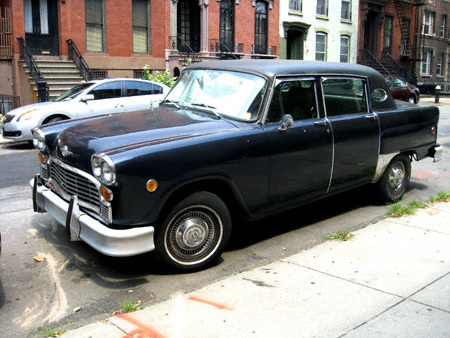 Everyone has heard of Checker cabs, but did you know they also made regular old cars? They did and this one hails from Noble Street! Your eyes are not deceiving you. 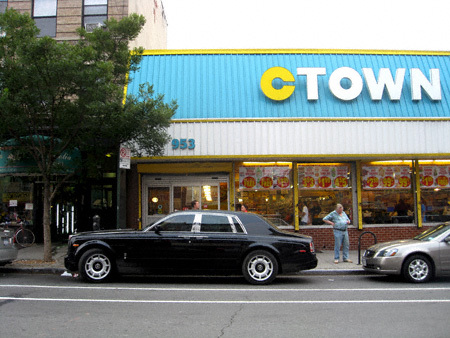 That is a brand spanking new Rolls Royce parked in front of Greenpoint’s very own C-Town on Manhattan Avenue! And last —but hardly least— this beauty. 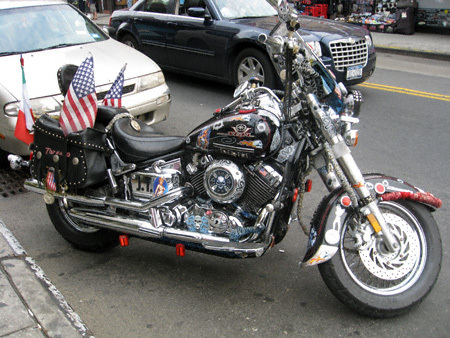 I have no idea what make or model this is, but I do not think that’s terribly important. Unless of course you are talking about silicone implants. “J.T.” sure loves him some boobies! 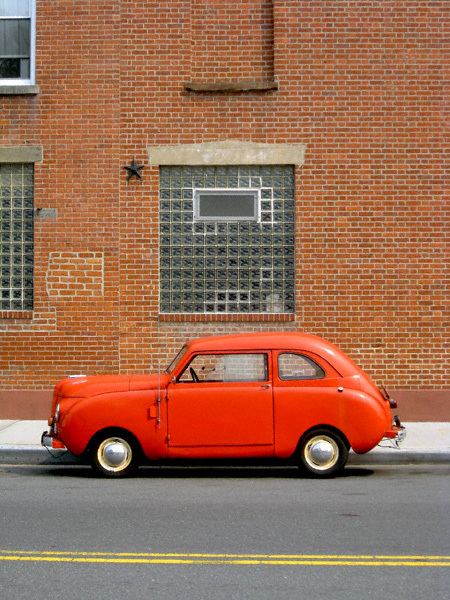 I can’t say it enough: I LOVE GREENPOINT!